Harry Potter and the Deathly Hallows Part 2 premieres on July 7 in London, and fans of the franchise can check out the action on the red carpet live on YouTube. The event will go down on YouTube’s Harry Potter channel from 8 to 11 p.m. PT and will feature the cast of the film as well as author J.K. Rowling. 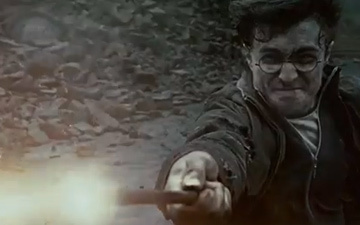 In preparation, YouTube has packed the Potter channel with all seven films (which one can rent), behind-the-scenes footage, parodies and interviews. Livestreamed premieres are becoming an increasingly common practice on the web. YouTube streamed the premiere of Twilight Eclipse last June, and MTV.com showcased the NYC premiere for the last Potter flick, Harry Potter and the Deathly Hallows: Part 1, last November. Still, this premiere really shows off two of YouTube’s latest innovations: its expanded livestreaming platform, and the addition of major studio movies to its rental service.